Most currency pairs are chiefly under the influence of the issues between the US and China. The UK will release CBI Industrial Trends Orders. The support rests at 1.31420 with resistance at 1.31800 which both lines are below the weekly pivot point at 1.33130. The EMA of 10 is moving with bearish bias in the descendant channel and it is below the EMA of 200 and the EMA of 100. 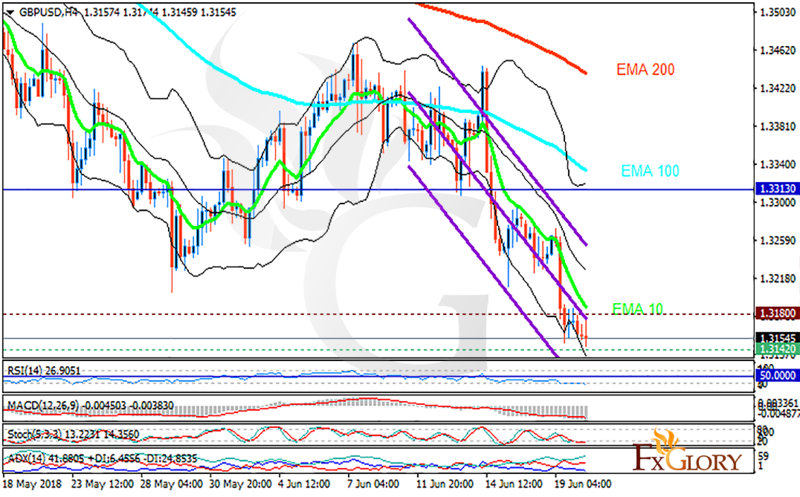 The RSI is moving in oversold area, the Stochastic is moving in low ranges and MACD is in the negative territory. The ADX is showing buy signal.